Middle class whites and Asians live in wealthier neighborhoods than black and Hispanics earning the same annual income. This is not good news for their children. A middle class white family lives in an area where the median income is $52,800, according to a new study issued by the Stanford Graduate School of Education. Asian families reside in an even more upscale community, with a median income of $59,800. 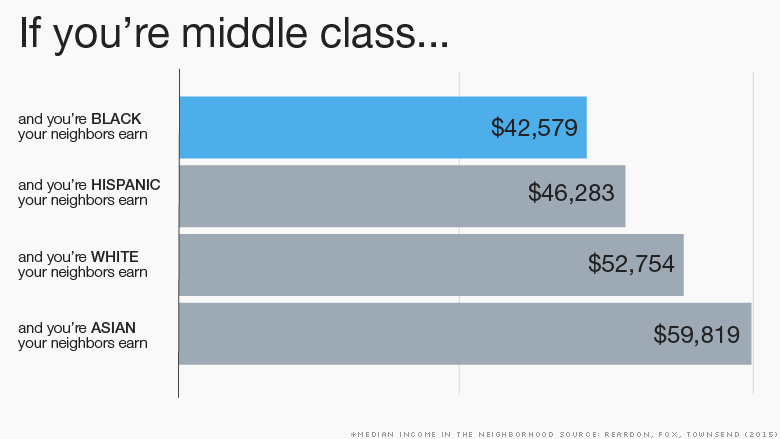 But a black family with the same household income is surrounded by neighbors making only $42,600. And a Hispanic family lives in an area where residents earn only $46,200. The gap is even larger when looking at low-income and affluent Americans. In fact, poor whites live in wealthier neighborhoods than middle class blacks. Low-income whites live in communities with a median income of $46,000, but a black family with the same income has neighbors making only $34,100. Affluent whites' neighbors earn $65,700, while blacks' peers have only $54,400 in median income. In the study, middle class families earn $50,000 a year, while low-income households make $20,000 and affluent ones take home $100,000. There are three main reasons for this schism, researchers said. The wealth gap is one of them. 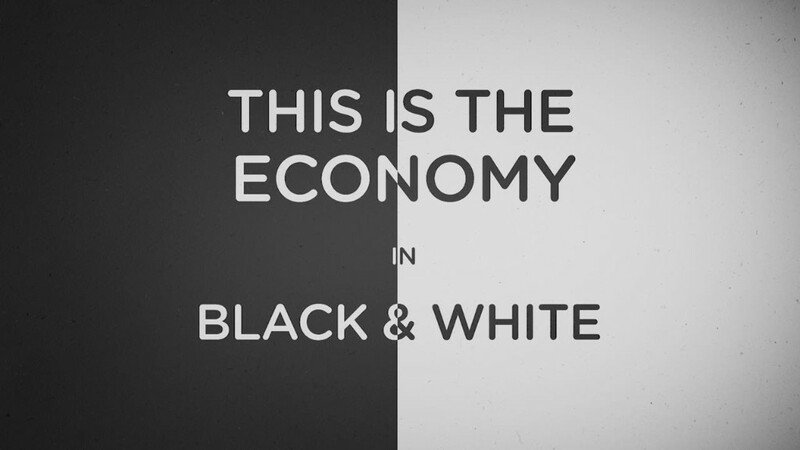 Whites have 12 times the wealth of blacks and nearly 10 times that of Hispanics, according to the Urban Institute. That allows white families to buy homes in fancier neighborhoods than blacks and Hispanics with similar incomes. Other factors include lingering racial discrimination in housing and the tendency to live among people of similar backgrounds. This is particularly true of whites. Regardless of their income level, white families typically live in neighborhoods that are roughly 80% white. Black and Hispanic families, meanwhile, live in communities that are roughly a third to a half black and Hispanic. These trends, however, can have long-term implications, said Sean Reardon, the study's lead author. Children who grow up in poorer neighborhoods are less likely to go to college and more likely to become single parents, recent studies show. "The worse the neighborhood you grow up in, the lower your income is by age 25 to 30," Reardon said.